You are so fast with this! The schedule literally just dropped! 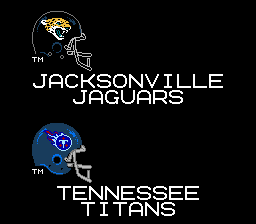 Goji's NFL Tecmo Super Bowl LIII (Beta 0.2) is up! regarding the 2018-19 schedule update fixes do you recommend that i start the season over if i started it on your previous rom? did you just change the order of the games, or did some teams play more or less than 16 games? some very interesting picks that occured. cant wait to play your post draft rom! Goji's NFL Tecmo Super Bowl LIII (Beta 0.3) is up! So top-heavy I nearly fell over tryin' ta play it! Sorry if I left anyone out that should be here. Can't believe no one has signed Dez yet. More to come! I fixed the Browns roster if you want me to upload it? I do hope Mayfield succeeds, but I'm reading it's Tyrod Taylor's job to start the season at least. Will keep Calloway in mind. Yeah I copy/pasted Rogers numbers, I don't even like Mayfield. Needed a decent QB for juiced plus. I just downloaded the roster editor a couple weeks ago, felt like sharing. Thanks for the roms! 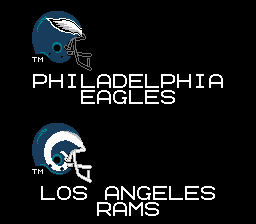 Goji's NFL Tecmo Super Bowl LIII (Beta 0.4) is up! 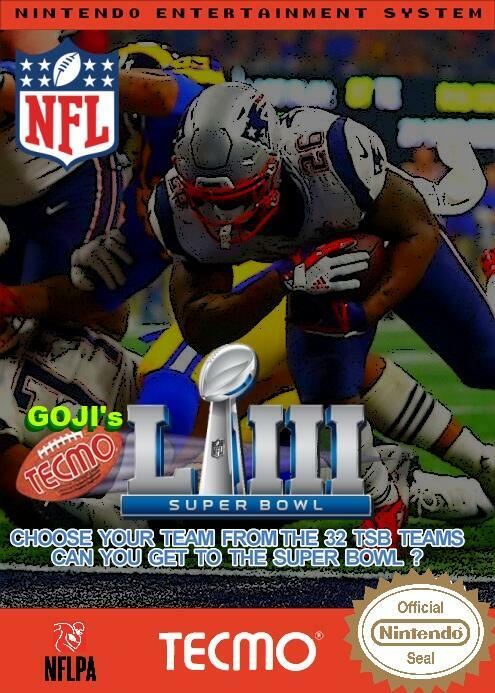 Goji's NFL Tecmo Super Bowl LIII (Beta 0.5) is up! Goji's NFL Tecmo Super Bowl LIII (Beta 0.6) is up! *Holding off on some players who haven't been assigned a true jersey number yet. Goji's NFL Tecmo Super Bowl LIII (Beta 0.7) is up! Packers sign 'im. That's major rad. Marcedes ain't allowed to cross that bridge this Fall, though... or he'll end up in the drink! He's looking like a week 1 starter. Goji's NFL Tecmo Super Bowl LIII (Beta 1.0) is up! *This is a BIG update. Alot has been changed with player rating min and max caps.